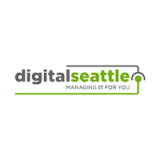 Leave Your Moving Stresses In Your Old Office - Digital Seattle Blog | Digital Seattle, Inc. | Seattle, Washington | Digital Seattle, Inc.
To help your organization make this process much more manageable, Digital Seattle offers several services to aid in your business’ growth. Our trained IT consultants can provide your business with a plan to enable growth, while also managing it. Choose your Internet service provider: It’s very important for your organization to have an Internet connection that can adapt to your business’ needs. If your new office needs to be rewired to accommodate changes to your workforce, it could take several months just for this process to be completed. Digital Seattle can help your business connect with all kinds of businesses in the area, including ISPs who can help you get your new office up and running. Digital Seattle can help you take the pain out of this process. To learn more, reach out to us at (206) 709-9556.